Defining pay structures, salary levels, benefits and bonuses can seem like a full-time job in itself, but it’s critically important to get right. Whilst research shows that pay levels alone are not a motivator, they can be a negative factor if you get them wrong. 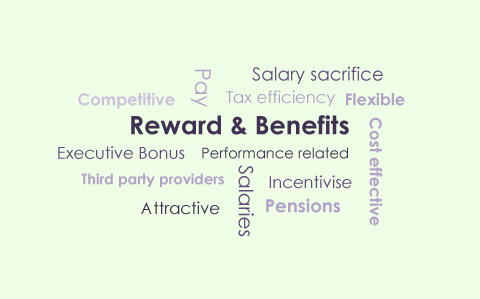 For these reasons it is important that your employee reward strategy fits with your culture to encompass all forms of benefit and reward, is shaped to fit your budget and goals, and is truly valued by your staff. But developing an effective reward strategy is not just a one-time job. Salaries and benefits need to be reviewed regularly, not just to make sure they are sustainable for your business, but to ensure they are competitive against other similar companies operating in your market sector and region. As an employer it’s vital that you remain abreast of the external influences, complexities and opportunities created by legislation, taxation and third party benefit providers. Whatever your business sector or type, GrantaHR can help you put together a properly structured, aspirational and motivational employee rewards strategy and framework, and communicate it effectively. please contact us or ask about our free HR Health Check.